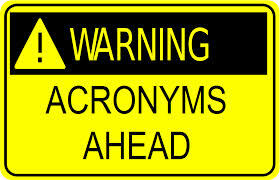 An acronym is a type of memory aid and/or a shortcut of expressing a term or a set of words. It is, therefore, considered a mnemonic. Mnemonics were widely used by the ancient Greeks, such as Plato and Aristotle, to recall information. Then why is it such a hard name to remember, you ask? Mnemosyne (i.e. “Remembrance”) is the name of the Goddess of Memory in Greek mythology, so the noun is a derivative created in her honor. Memory techniques, such as acronyms, help students remember many lists in order. It could be planet order, biological classification, or the colors of the rainbow. Memorizing lists in this fashion earned me the nickname Ms. Memorex, and helped me to get good grades whether it was Chemistry, Spanish, or Religion. Some organizations have so many acronyms, they have developed an internal glossary for on-boarding new hires. The acronyms are for departments, processes, projects, and so on. Many companies have either internal Training & Development personnel to assist with learning the lingo, or they hire external Adult Learning & Development Professionals, who know how to apply mnemonics, along with contextual learning and free-style instruction to the varying types of learners during orientation workshops. Take action by solving the problem. Explain why the problem occurred. Gather Facts – This is when the problem or issue that needs to be improved is determined (what is currently happening). Analyze – This is when the root cause of the problem or issue is determined, and the ideal process or situation is determined. Make a Plan – This is when an improvement plan is created to eliminate the problem or issue. The problem or issue is defined by the gap between the current and the ideal situation. Execute and Evaluate – This is when the improvement plan is executed and monitored continually to ensure that the problem or issue is improved. Also, this is when the improved process should be institutionalized and become a part of everyday operating procedure. Rossina Gil, MSOD, MAIS, is a Leadership and Organization Development Practitioner, and the founder of a boutique consultancy of OD experts, CLG. Visit us at CorporateLookingGlass.com. Charles Duhigg, The Power of Habit. Random House (New York: New York), 2012. McDonald’s Business Practices Handbook, 1995. Out of the ashes rises the Phoenix. In Greek mythology, the phoenix is a bird that is reborn and represents the cycle of renewal. Yet death, symbolized by fire, signals a sense of loss before a new stage can begin. 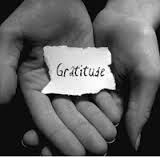 It is this lesson combined with my client’s predicament that generated the idea of the Gratitude Letter. My client, let’s call him John*, had felt estranged from his brother (umpteen years his senior), since he was a little boy. Throughout his life, John made futile attempts to (re)connect with his brother. Now in his 50’s, John hoped that his brother would like to put the past behind them, since they are the only surviving family members of their immediate family. His brother refused. It was time to let go. I advised John to write his brother essentially a “living eulogy”…one he would keep to himself. 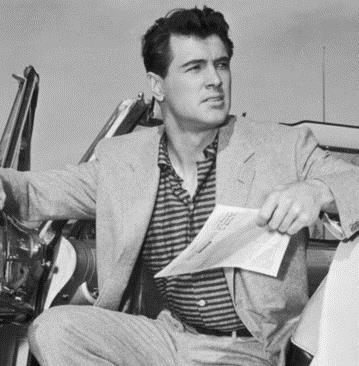 The letter would focus on all of the things for which he was grateful. We long for what we are grateful. When that for which we are grateful becomes absent, the void often morphs into resentment, sadness, and bitterness. If this is the case, we become victims and not survivors; living in the past instead of walking more strongly into the future. John brought himself to say goodbye, so that he could begin again and fulfill a similar gratitude elsewhere. Beginning: Dear Brother, I am writing to you to express gratitude for all that you have given me. Without these experiences, I would not be who I am today. There is no sarcasm, no reprimand; just acknowledgement. Do NOT mail it, unless you would like to rekindle a relationship. If you wish to mail it, I advise that you wait a week, re-read it, and decide at that point. This is an exercise in lifting a weight off of your heart. It is not about forgiveness; it is about moving forward to a healthier, happier, more productive state. Yes, all the negativity you experienced was an unfortunate aspect of your growth, AND, there are positive portions of your relationship with this individual which brought some joy and meaning into your life. Be kind to YOURSELF and choose to focus on the fonder memories of your life experience. *John is a fictitious name, to protect the identity of the client. When I was a professor at CSUN*, part of the homework I gave to my students on their first day of class was to go find someone over the age of 75, and to ask them this question: If you had to live your life all over again, what do you wish you knew then that you know now? The answers that came back were as expected: Take more risks; do what YOU want to do (i.e. Don’t live your life for others). Since then, I have read Richard Leider’s book The Power of Purpose, in which he summarizes an extensive study he conducted on seniors and Purpose; where he asked a similar question. The subjects wished they had 1) Taken more risks, 2) Spent more time with loved ones, and 3) Discovered their Purpose earlier in life. So what makes your heart sing? What are you doing when you lose track of time? To whom and how do you give that away? “How you serve” is usually what you end up giving away. You are so happy to do it, it comes naturally to you, and it is fulfilling to share. Naturally, people need a paycheck, AND, those who LOVE doing what they do will often find ways to continue to do it because the intrinsic rewards are so great. Gifts could be Acts of Service, such as the medical doctor who does community work (e.g. Doctors without Borders) or the colleague who is willing to ask the question(s) &/or make the comment(s) for co-workers who are too fearful to ask for themselves – due to the work environment, it could be Quality Time such as the friend who is there to listen or the supervisor who cares to spend time getting to know you inside and outside of work; it could be Words of Affirmation such as the person who encourages you to be the leader you are meant to be. To give your gifts away are acts of love. The actions demonstrate how you love yourself enough to share the best of what you have to others. It is the opposite of hoarding. Someone once said, “I have never seen a luggage rack on a hearse.” If you were to die today, for what would you be known? If you are a creator, how do you share what you invent? If you are a nurturer, how do you share your compassion? If you are an organizer, how do you share your systemic process? If you are a thinker, how do you share your intellect? Adam Leipzig is a Tedx Talk speaker who delivered a presentation entitled “How to Know Your Life Purpose in 5 Minutes.” While I disagree with his time proposition and method, he made an interesting observation from his 25th college reunion…80% of his Yale classmates shared that they were not happy with their lives. They did not know what their lives were about. The 20% who were happy had followed their passions and had, consequently, led successful lives financially and personally. This approach towards life began in university by studying for the joy of learning; not from studying what they thought they were SUPPOSED to study, is the inference. Are you living your life with purpose? Life is about choice; if you feel you have no choice, you are not living your life with purpose. Those who fail to act on their passions may, later in life, meet the Oulda brothers (Shoulda, Woulda, Coulda…done better if only…). Love what you do. Do what you love. Love yourself. Share your talents. The Will to Power and Acceptance have been themes of civilization since the Garden of Eden. How does this figure in the workplace? 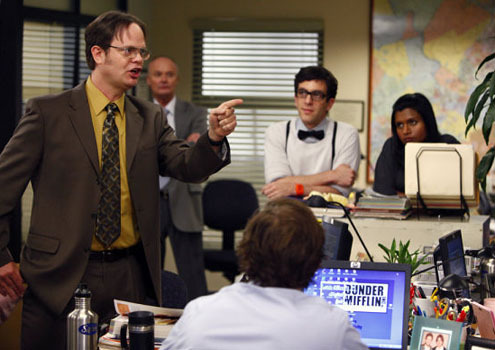 What most people refer to as “office politics” is largely a case of Insider-Outsider Dynamics. In Washington, DC, this topic was implied around town with the saying, “It’s not WHAT you know; but WHO you know.” How could this be a popular saying in a nation that touts meritocracy?…because subjectivity prevails. Even the DC newspaper, the Washington Post, made a subconscious play at this with their slogan: “If you don’t get it, you don’t GET it,” – meaning: If you don’t purchase the newspaper, you are not knowledgeable (worthy of informing). 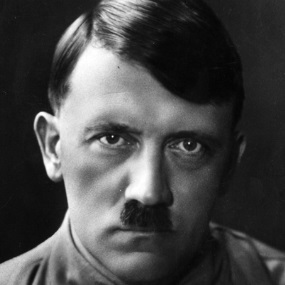 Adolf Hitler It is estimated that 11 million people were killed during the Holocaust; 6 million were Jews; 1.1 million were children. 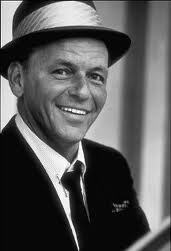 Bob Dylan Sinatra refused to perform unless his co-star, Sammy Davis, Jr, was also permitted to take the front entrance. 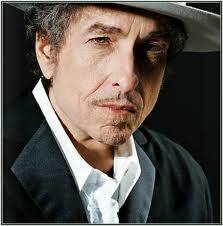 Dylan wrote a protest song for boxer Rubin “Hurricane” Carter. The lyrics allege racism led to a false trial and conviction. Outsiders are those who want to have a sense of identity and understand that their contributions are not always valued, which typically leads to sub-optimization of their talents. This stifles their sense of identity, leading to adverse reactions. 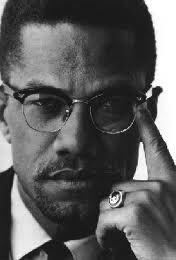 He espoused black supremacy, advocated segregation, and vented anger. Gaga’s thematic expression is of individuality, equality, and freedom. Her fashion and songs, like Born This Way, are manifestations. Stiviano stayed with bigot, racist Donald Sterling in exchange for gifts* and proximity to fame. (* Gifts include $1.8-million duplex, Ferrari, two Bentleys, & Range Rover). CHANGE AGENTS These Outsiders need to feel like their contributions are constructive. They fear loss of credibility, and it is overridden by the courage to take the risk to disrupt the status quo for the sake of inclusion. 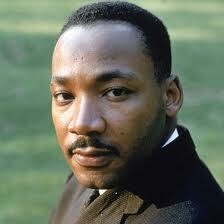 MLK, Jr.
King advanced Civil Rights using nonviolent civil disobedience. 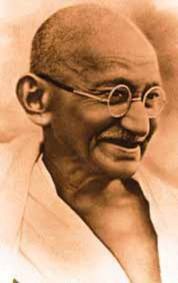 Born into a wealthy Indian family who sent Gandhi to London to study law, Gandhi became an Outsider both in England and in South Africa before using nonviolent civil disobedience to lead India to independence. UNINTENTIONAL OFFENDER. Attrition. Brand damage. Stock slump. E.g. Conservatives misinterpret Disney’s support for gay rights as an attack on their beliefs. INTENTIONAL OFFENDER. High attrition. An ugly culture. Stock failure. E.g. Annual lay-offs to perform the corporate version of “ethnic cleansing.” And, Enron which took McKinsey consulting advice to fire 40% of its senior leaders, and make the remaining 60% re-apply. AVOIDER. Groupthink. Failure to leverage diversity; empower talent base. E.g. Colleagues who cast a blind eye when co-workers are unjustly made redundant or are falsely accused of business inefficiencies. INSIDER CHANGE AGENT. Maximum organizational benefits, as Insiders give Outsiders a voice. E.g. The independent thinker who suspends judgment until fully hearing and listening with both heart and mind, and then calmly share his/her viewpoint. FIGHTER. Hostile environment. Reinforced stereotypes. Causes are not explored. E.g.The stereotypical “angry, Black female” when she openly raises the issue of discrimination in a work environment that is in denial (See Blog: 5 Stages towards a Global Mindset). SEPARATIST. Factions. Withdrawal/Avoidance. Absenteeism. Attrition. E.g.Employee refuses to spend time with the supervisor, due to fear of further victimization/mismanagement. ASSIMILATOR. Loss of innovation. Inauthentic leadership. Instable work environment. E.g. Corporate women who feel they must talk/behave like men to succeed; and, denigrate other women who do not. OUTSIDER CHANGE AGENT. A more inclusive environment, as Outsiders manage to be heard. E.g. The independent thinker who steadily carries forth a conviction that s/he is not stripped of the choice to be happy and that each of us can make a difference.